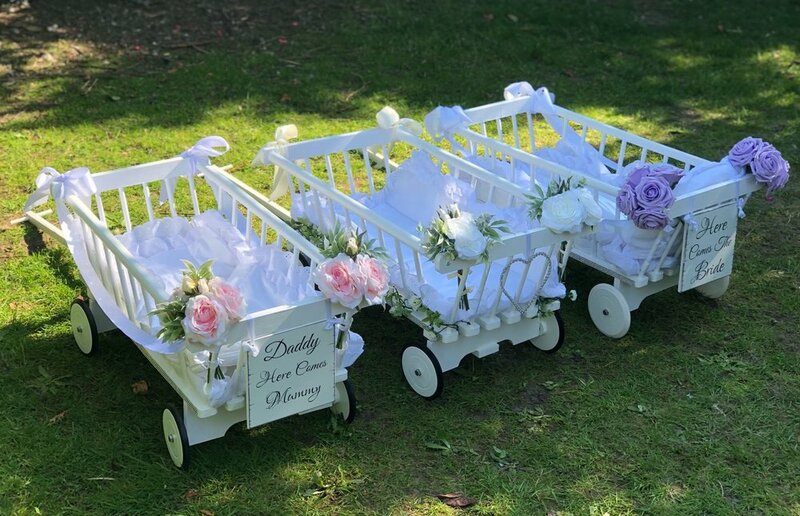 Your Baby Wedding Carriage is customisable to make sure you have the best package for your wedding! 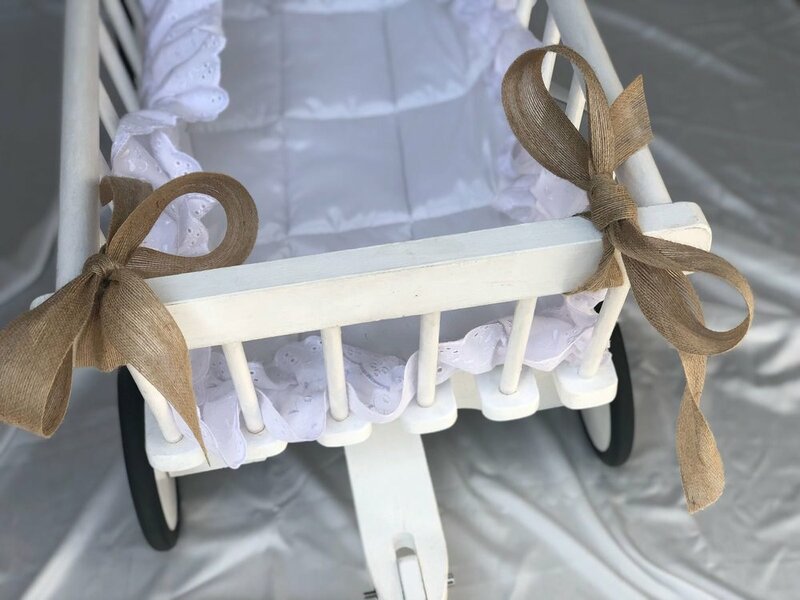 We offer different options for ribbons, flowers and signs, as well as different seating supports which we will discuss with you to provide the safest support for your baby when they are in the Carriage. Have a look at our options below - if you can't see what you want, give us a call and we will help in whatever way we can to make your dream a reality! We have a number of options for you to choose from, from satin ribbon to hessian bunting. If you have a particular request, just let us know and we'll see what we can do! We have a range of flowers to match your wedding colours! 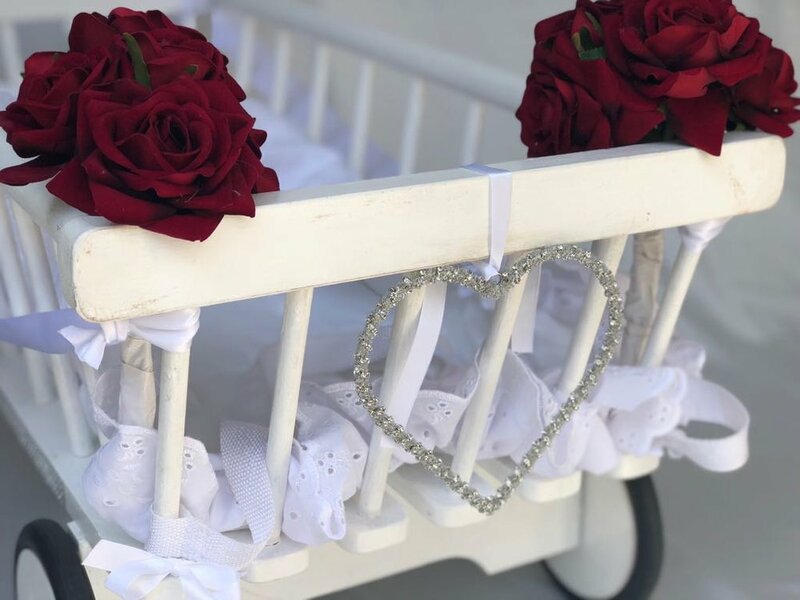 We attach the flowers to the Baby Wedding Carriage so that when you take the Carriage out of the box, there is nothing to add or attach, it's all ready to go! Our flowers are displayed here - but if you have a particular request just ask and we will always try to help! You have a pick of signs which we will attach to the back of your Baby Wedding Carriage. The signs look fantastic and add to the Carriage, with the little message adding to the spectacle! If you can't decide on a written sign, we have a few heart options for a discreet addition. There is also the option of a customised sign which we will have made for you to keep as a memento of the big day! See The Baby Wedding Carriage In Action! We have some ideas for you on our Instagram!